Last night my family and I happened to tune in to watch a bit of American Ninja Warrior. We aren’t die-hard fans of the show, but it seems to be on almost every night at this point, and it is oddly compelling. It is easy to get sucked in to watching contestant after contestant try to navigate seemingly physically impossible obstacle courses that require practically non-human upper body strength and agility. As each competitor excitedly steps up to the course, all of us watching cheer him or her on, hoping THIS will be the one who makes it all the way, and doesn’t fall into the pool of water at the bottom. I ended up keeping the show on for about an hour as I did some other things around the house, and I think in that hour only 3 people made it all the way through the 4-stage journey. The show’s creators of course profile any of the competitors who have overcome diversity to be there, or have trained in some amazing way, just to ensure that we are emotionally invested in what we are watching. I of course root the most for the least likely winners – the oldest competitor, the youngest competitor, the one who has tried for three years prior and never made it all the way, etc etc… I’m impressed and slightly awed by the level of fitness these athletes have achieved to be there, especially since I was watching it after having just pushed myself through a measly one-hour workout session. Stage 1: Up and At ‘Em. After not enough sleep, an alarm, pet, or child gives the Ready Set Go command and the RW is off and running. She has a limited amount of time to accomplish tasks such as pet or child care, breakfast and lunch preparation, answering questions, texts, and emails, and getting herself dressed and presentable. Any number of unexpected obstacles are thrown in, such as dirty dishes, forgotten homework, torn clothing, missing buttons, notes to be written, laundry, and even vomit. If the Ninja RW manages to get through this course without being late to work, and being fully clothed in matching, unwrinkled attire, then she may move on to the next stage. Stage 2: Mount Workopolus. This is the stage of the course with the greatest variety. 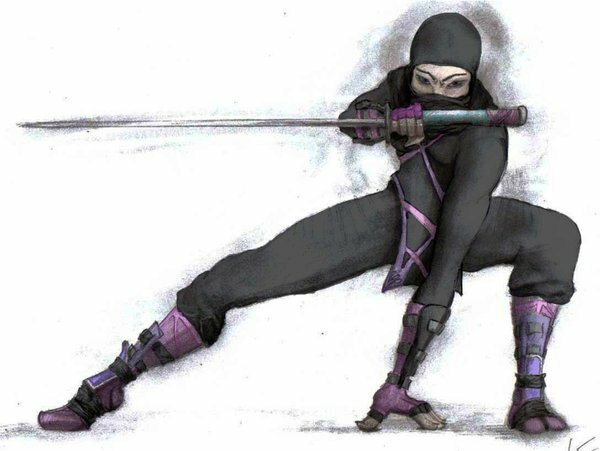 Our Ninja R.W.’s step into their public personae to accomplish any number of feats such as caregiving, leading, teaching, customer service, administration, creative development, and even saving lives. They must accomplish this while keeping one hand on the domestic wheel, managing family emergencies, appointments, calls, planning and coordination. Like the Warriors TV show, the R.W. navigates the same obstacle course, and same stages, as their male counterparts. However even when successful, unlike on TV, she will receive on average only 78% of the prize monies offered to the men. She will push her way through anyway, chanting some motivational mantra in her head about needing to pay for vacation, childcare, or a new pair of shoes. The Ninja R.W. will achieve success in this stage of the course if she meets all deadlines, remains pleasant and professional, and still looks good at the other end. Starting to feel fatigued and battle-weary, she heads on to Stage 3. Stage 3: The Post-Work-Press. Speed is of the essence with this portion of the challenge. The Ninja R.W. pulls out any remaining multi-tasking resources she has left to run errands, drive the R.W. taxi, care for family and pets, prepare food, repair & clean up any damage done from the first two stages, and wedge in extra chores or quality time with loved ones. At this point, our Ninja is not only battling fatigue, but a sore back, headache, and a lowered level of patience. But she perseveres because she can see the last Stage in front of her and hopeful successful completion. Stage 4: The Wind Down. With any luck, this Stage allows for a brief rest period for the Ninja R.W., possibly in the form of reading a magazine or book, catching a TV program, or talking with other Ninja R.W. contestants. But the respite is brief, as the preparing for bed process kicks in. While the rest of the family snuggles under the covers, the Ninja R.W. is making the last rounds. Like the TV Warrior competitors trying to climb that last wall or ladder, the R.W. is getting the pet out for a last bio break, putting away dishes, carrying loads of laundry, prepping items for the following day, turning out lights and locking up. As the Warriors triumphantly reach their end goal and push the big red button and the announcers proclaim their success, the Ninja R.W. gives kisses, brushes her teeth, removes her make-up and turns out the light. The Warriors on TV receive high praise and a loud cheering and applauding crowd. The lucky R.W. hears a quiet thank you or I love you. And that is exactly why she is ready to start the challenge all over again in a few short hours. This entry was posted in beauty, Chores, Entertainment, family, Health, home, home chores, housework, Kids, pet, real women and tagged appreciation, competition, fitness, inspiration, obstacle courses, skills, strength, stress, winning. Bookmark the permalink.